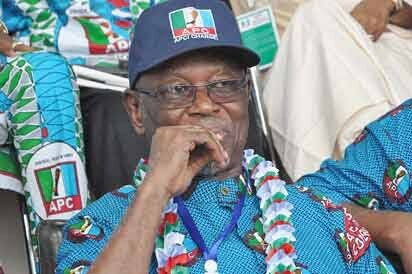 South-South leaders on Friday said National Chairman of the All Progressives Congress (APC), John Odigie-Oyegun is working hard to ensure unity of the ruling party. They insisted that the APC was not divided as being speculated in some quarters. A statement by the chairman, South-South Front (SSF), Chief John Harry, praised Oyegun for, “his dynamic leadership, quality of his thought and purification of the country’s politics”. “There is unity of purpose among members of the ruling party. Members are not feeling defeated or excluded. “The party makes them feel hopeful, enthusiastic and proud. There is no disconnection between the state and national executive of the party. “Odigie-Oyegun is in agreement with the political climate and in accord with the country’s needs, as well as those of the party. “He is restoring morality back into politics. He is leading the ruling party in tune with popular sentiment”. The chieftains advised APC members nationwide to renew their commitment to ensure that the party retains power in 2019.